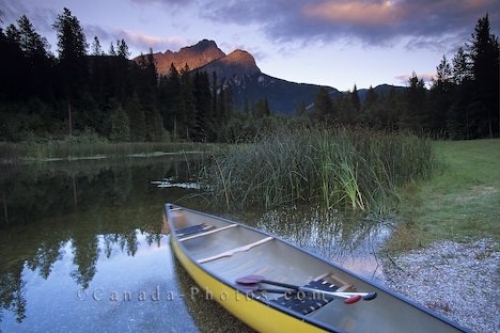 Canoeing on this pond in the Blaeberry Valley in Golden, British Columbia is extremely peaceful and scenic. At the Goldenwood Lodge in the Blaeberry Valley in Golden, British Columbia you are surrounded by beautiful wilderness which makes this pond the ideal spot to do some canoeing. A calm pond like this in Golden is perfect for people who have never attempted canoeing or for the more experienced who are looking to explore the Blaeberry Valley. Picture of a pond near Goldenwood Lodge in Golden, British Columbia where canoeing is fabulous.